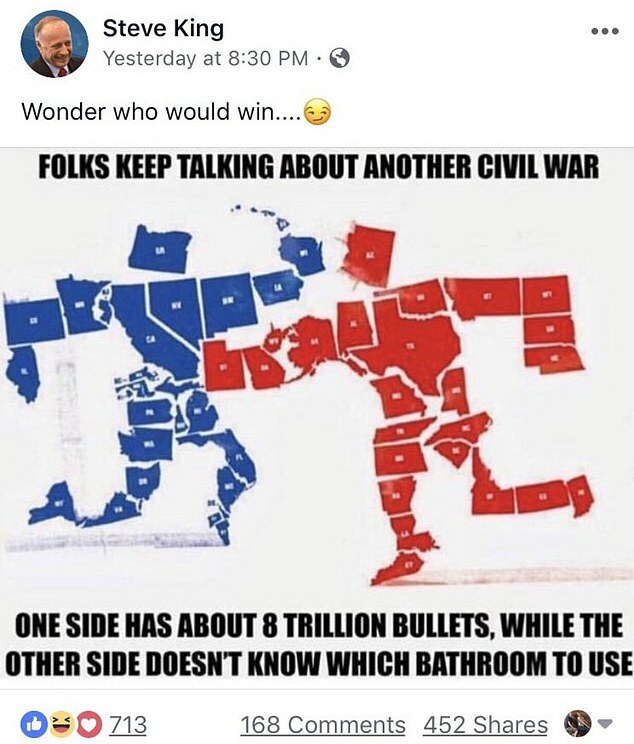 Iowa is one of the blue states, i.e., the enemy state! 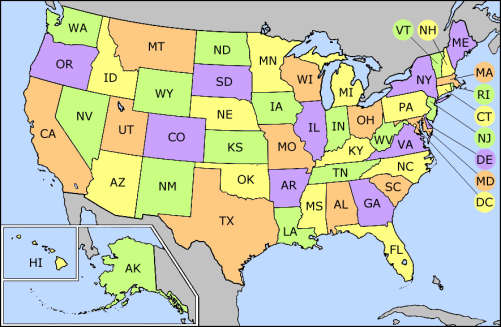 CA (California), CO (Colorado), CT (Connecticut), DE (Delaware), FL (Florida), HI (Hawaii) IA (Iowa), IL (Illinois), MA (Massachusetts), MD (Maryland), ME (Maine), MI (Michigan), MN (Minnesota), NH (New Hampshire), NJ (New Jersey), NM (New Mexico), NV (Nevada), NY (New York), OH (Ohio), OR (Oregon), PA (Pennsylvania), RI (Rhode Island), VA (Virginia), VT (Vermont), WA (Washington), WI (Wisconsin). DC (Washington, the US capital). AK (Alaska), AR (Arkansas), AZ (Arizona), AL (Alabama), GA (Georgia), ID (Idaho), IN (Indiana), KS (Kansas), KY (Kentucky), LA (Louisiana), MO (Missouri), MS (Mississippi), MT (Montana), NC (North Carolina), ND (North Dakota), NE (Nebraska), OK (Oklahoma), SC (South Carolina), SD (South Dakota), TN (Tennessee), TX (Texas), UT (Utah), WV (West Virginia), WY (Wyoming). This entry was posted on Friday, April 5th, 2019 at 00:04	and is filed under Uncategorized. You can follow any responses to this entry through the RSS 2.0 feed. Both comments and pings are currently closed.